The Sustainable Built Environment (SBE) Conference of the Americas, which is being held in Toronto on Sept. 19 and 20, announced its lineup of guest speakers. The Canadian Institute of Quantity Surveyors (CIQS) and the Royal Institute of Chartered Surveyors (RICS) jointly issued a new resource that will act as a roadmap to help independent project monitors provide oversight and transparency, while helping mitigate financial risks for construction projects in Canada. 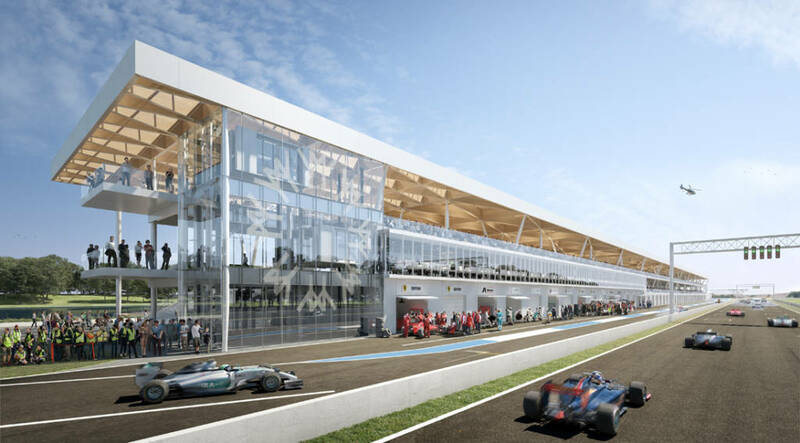 Rendering of a renovated Circuit Gilles-Villeneuve, a Formula One racing circuit in Montréal. Renovations and expansion of the paddocks at Circuit Gilles-Villeneuve, a motor racing circuit in Montréal, has begun. Groupe Geyser will first begin working on the demolition of existing paddocks, renovation of underground infrastructures, which date back to the 1976 Olympics, and replacement of the electrical system. Once the land has been cleared, new paddocks will be erected on the same site. Designed by Les Architectes FABG, the building will be contemporary and feature an attractive arrangement of windows and openings on the façade. Its architectural design is inspired by certain aspects of Expo 67, including the ceiling grid, reminiscent of the triangular shapes of the Biosphere (the former United States Pavilion) and the Canada Pavilion. Capacity will increase from 1800 people to 5000. Managed by the Société du parc Jean-Drapeau (SPJD), the project is funded through an $18-million investment by the Ministère des Affaires municipales et de l’Occupation du territoire (MAMOT), the provincial government department overseeing municipal affairs and land occupancy, and a $41-million contribution by the City of Montréal.